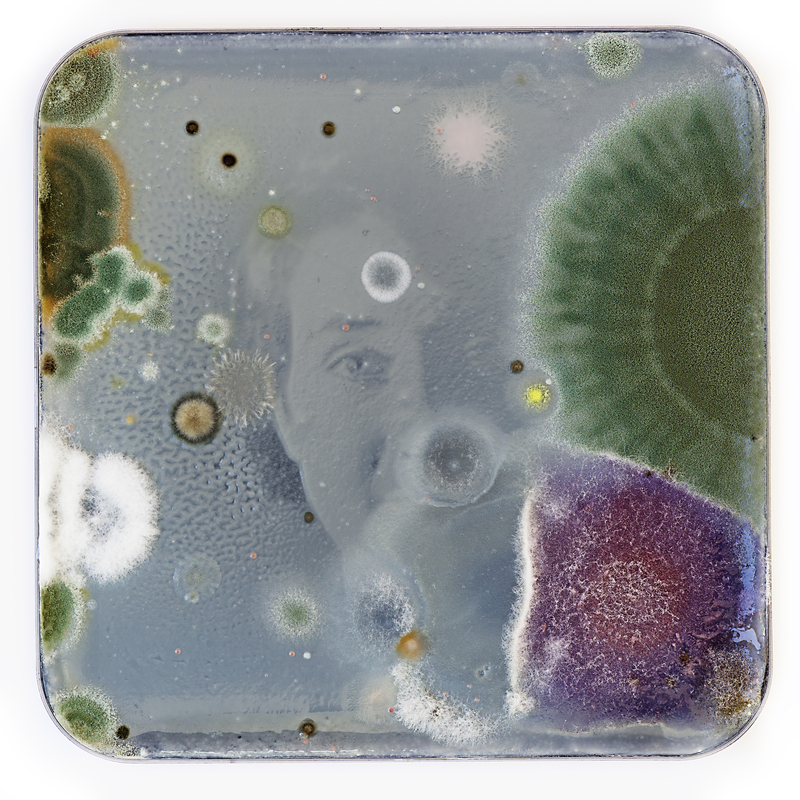 Johanna Rotko produces living images, so called yeastograms, with raster images, UV-light and living/growing yeast cells in petri dishes. After approximately 48h of exposure with UV light, the exposed yeast cells have died and the raster covered cells have divided multiple times, revealing the image. The artistic research has been carried out with different types of yeast and growing mediums that are used in basic microbiology. In the future Rotko will explore the possibilities to work with yeastograms and moving image, new media platforms, and also further explore scientific methods and equipment for the process. Johanna Rotko (FI) is master of arts, a freelancer visual artist and designer, based in Kotka, Finland. Rotko´s art explores herown relationship with nature, perishableness, disappearance of matter, photography and time. Her experimental research explores the world by artistic means with methods from the biosciences.